This is their US second album released in 2004. Yoshida Brothers II contains the best of the best songs from two albums “Renaissance” and “Frontier.” Both were released in Japan during 2003~2004. 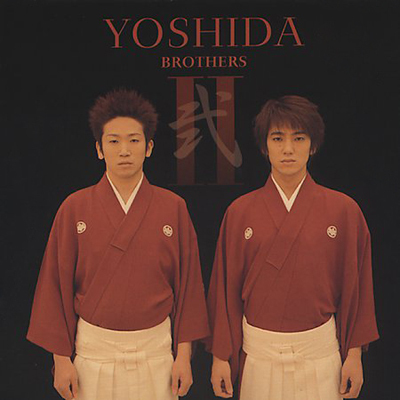 Yoshida Brothers got very popular after one of the songs from this album, “Kodo – Inside the Sun Remix”, was used for Nintendo Wii’s commercia, and marked Top 2 on US iTunes Store World Music Top100 Album. Mixing traditional Japanese music with Western influences, their brash, signature sound incorporates jazz-like improvisation and pop-rock sensibilities, brothers created this Master-piece album. $15.98 => $8.98 ($7 off) and get FREE YB photo until June 30th! Please follow Brothers’ SNS pages! 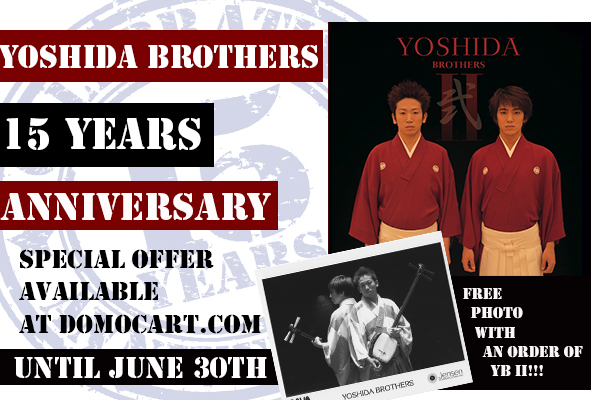 This entry was posted in Yoshida Brothers and tagged 15th Anniversary, Anniversary, Commercial, instruments, japanese, nintendo Wii, Shamisen, traditional, Wii, World music, YB, Yoshida Brothers, 三味線, 任天堂, 吉田兄弟. Bookmark the permalink.